Eight AWE members and Two Luizu Temple (China) attended the PWR event. They all had meaningful experiences and the take home message is "we'encourage interfaith encounter, to bring people people together from all faiths and to connect with love for a peaceful and sustainable world of the future"
8. Brampton Buddhist Mission Centre International Buddhist Parade Aug 17, 2014. 7. UNDV 2014 in Vietnam, May 7-11. 6. 2013 Zhejiang International Huayan Buddhist Culture Festival. 5. The 2013 Second Asian Festival of Buddhist Culture in Sri Lanka, Sep 24-29. 4. 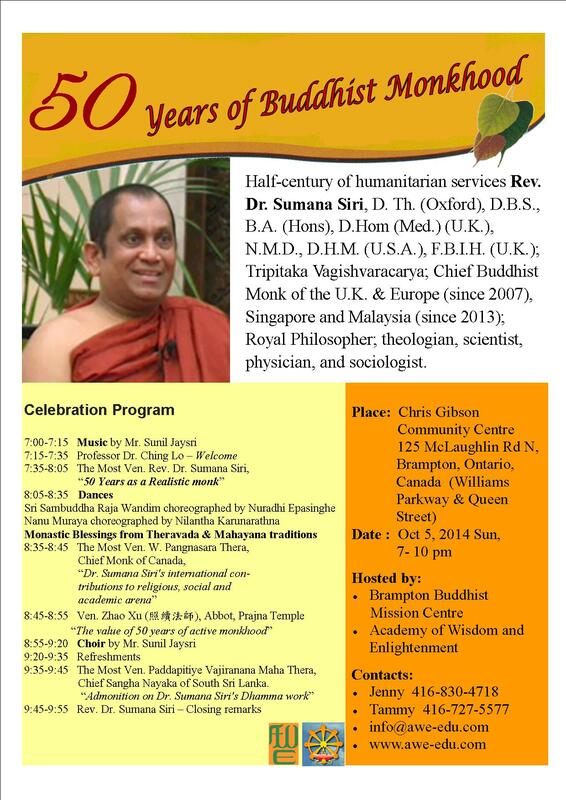 Hot summer event lecture series Aug 23-25 2013: at Ryerson University on Science & Buddhism by the Chief Monk of the UK, Europe, Malaysia & Singapore . 3. Brampton Buddhist Mission Centre International Buddhist Parade Aug 18, 2013. Lastman Square with free food; Shaolin Kung Fu demonstration by hundred of students, folk dances, bazzard and more. 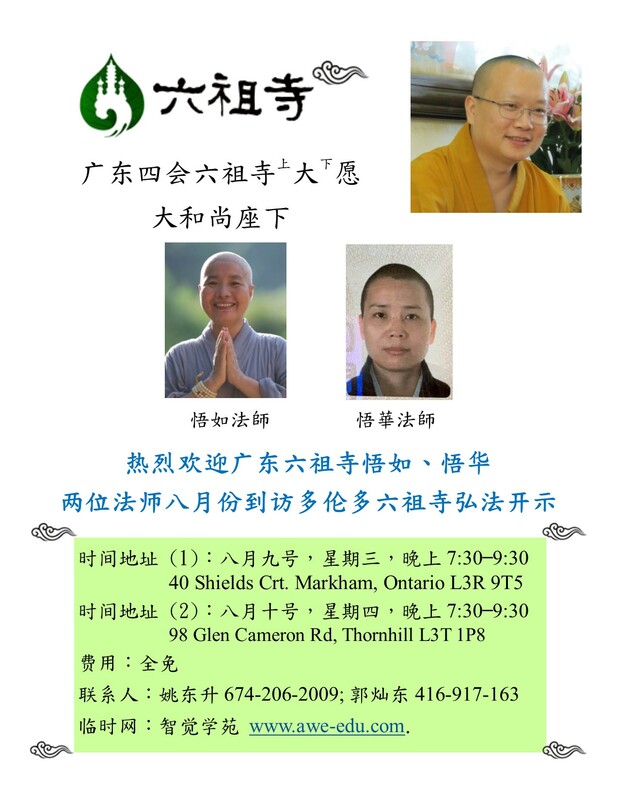 Speech at the Unity Vesak 2012 by AWE Professor Ching Lo, PhD on "Made in Canada Buddhism"